The UoA Chamber Choir perform the works of Morten Lauridsen. 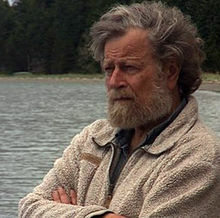 The UoA Chamber Choir present a portrait of the American choral giant, Morten Lauridsen in the presence of the great composer. Works being performed will include "Prayer", "o nata lux" from Aeterna, "Chanson Eloignee" and "Nocturnes"
For more information contact Euan Crabb in the Music Office.